Recently I was tasked to offer a subjective comments about digital and the relation Digital Mobile Radio (DMR) aka MotoTrbo as it compares. An overview of DMR and how it’s being adopted by hams all over the world, including a live demonstration of world wide communications using DMR. The decision we may have to make when considering v/uhf digital is the availability of repeater(s) for that digital. Andre VE3WZW came to explain how and why amateurs are flocking to use the DMR digital mode. Being an open protocol with many extremely low cost radios makes this an attractive mode to many. 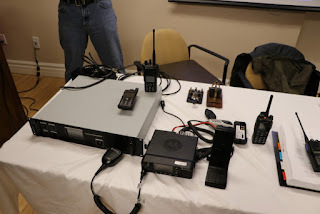 In fact, a group of NSARC members have begun exploring DMR together to learn and build a new DMR repeater for the club. Additionally, Joe VE3VGJ gave a quick presentation on some elevation research he did. Turns out, the earth is even less flat than you think it is. In fact, short distances of only a few dozen kilometers experience the earth’s curvature blocking line of sight up to many hundreds of feet. Andre VE3WZW brought a table full of DMR! 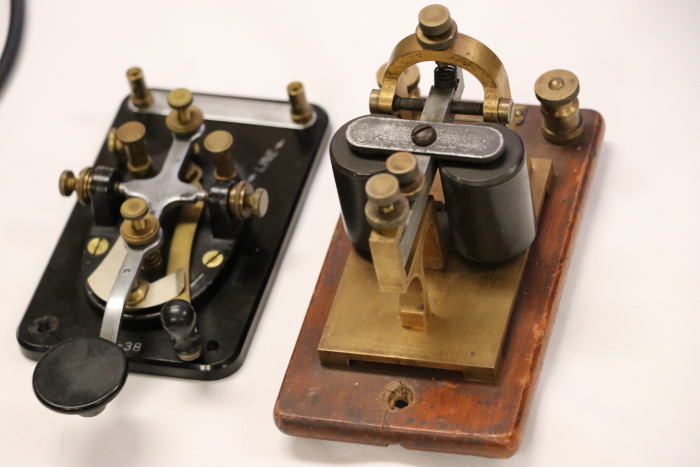 Repeaters, mobiles, and handhelds galore!